6 - Pixeled Tanks: Back by popular demand, here is the video games section. We were at “Madrid Games Week” to heck out first hand the most eagerly anticipated war games. 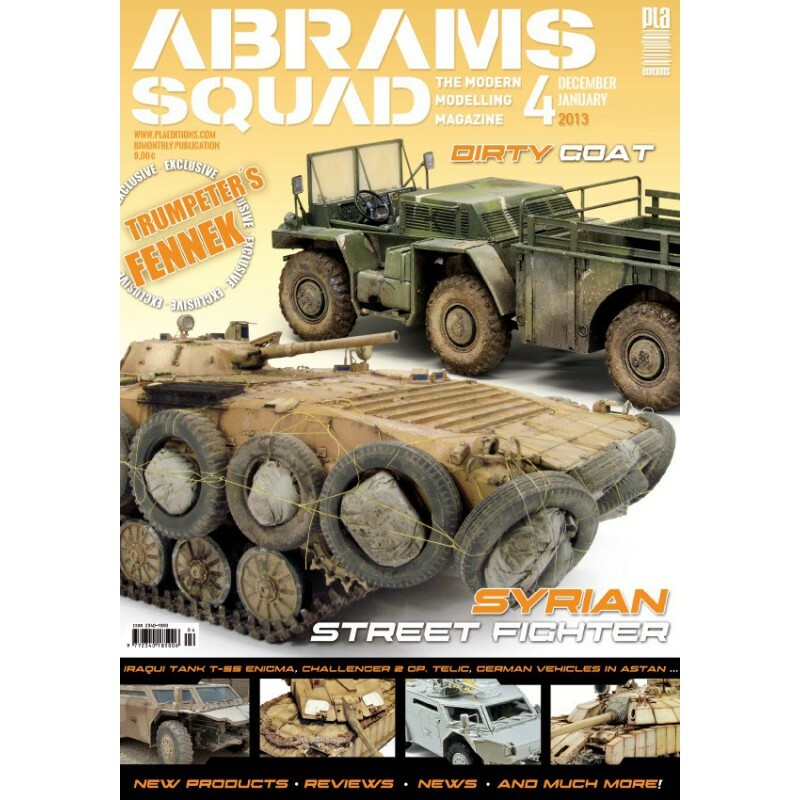 8 – Remote Thermal Sight: In this issue we’ll analyze the brand new Trumpeter Fennek in a world exclusive. The section has been increased to show you lots of reference pictures. 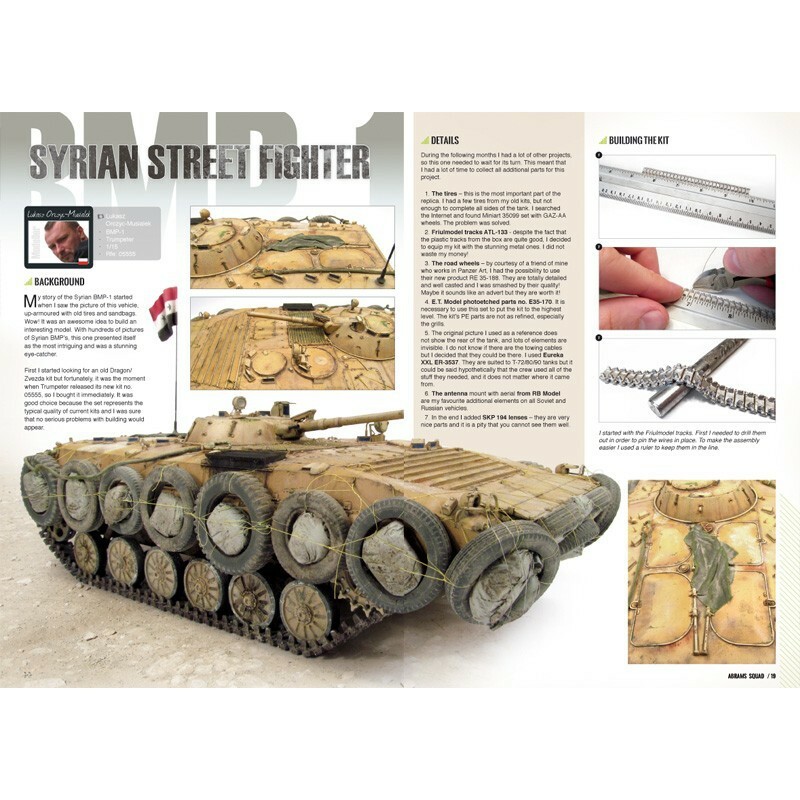 18 – BMP-1 Syrian Street Fighter: - Lukasz Orczyc-Musialek masterfully depicts one of the most popular pictures of the Syrian Civil War among AFV fans. 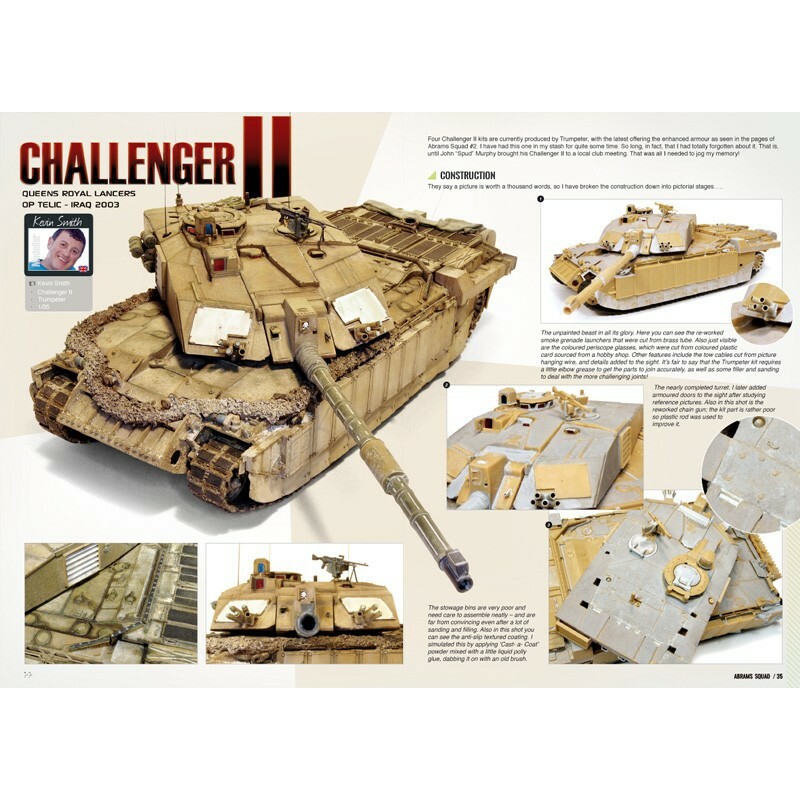 34 – CHALLENGER II, OP. TELIC, IRAQ 2003: - Kevin Smith shows us how to easily represent Britain’s main battle tank in all its glory - as used in Iraq in 2003. 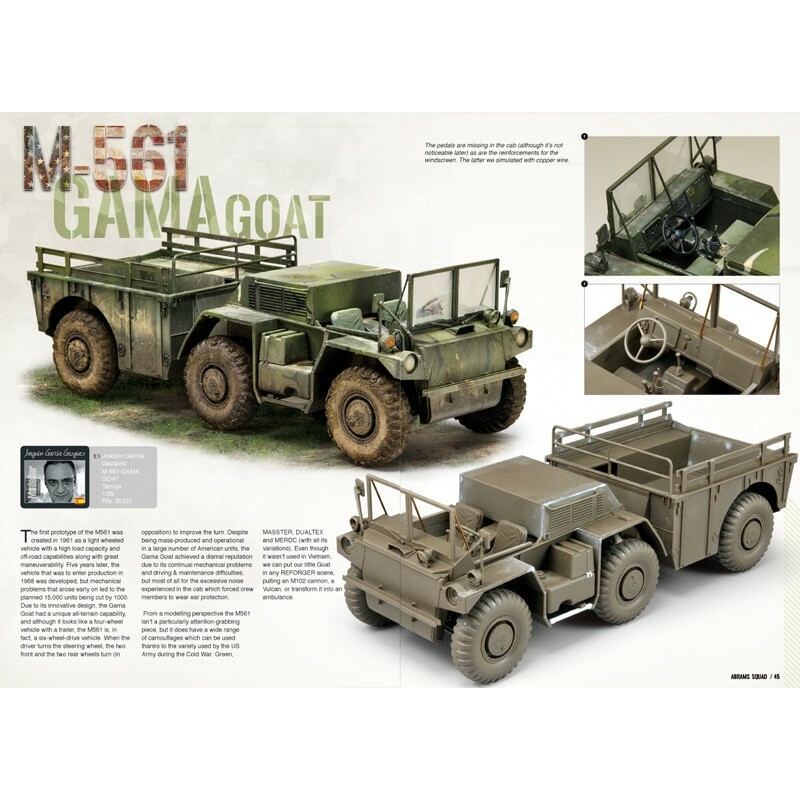 44 – M-561 GAMA GOAT: - Mr. Joaquin García Gazquez only needed a few weeks to surprise us with the latest Tamiya release. It might not be the most popular model but it certainly offers a lot of possibilities. 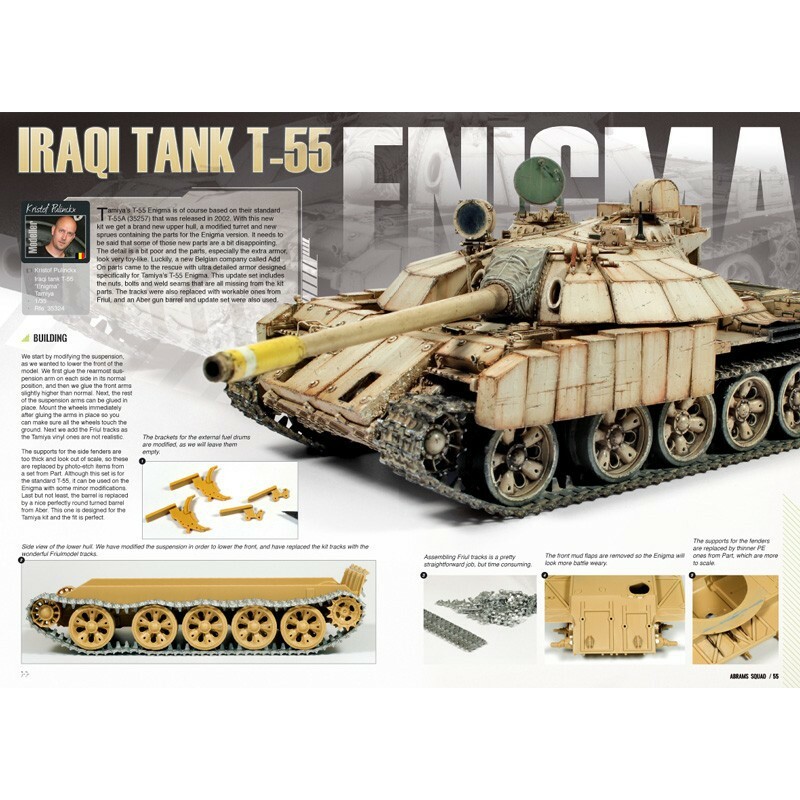 55 – IRAQI TANK T-55 ENIGMA: - A dazzling model. Kristof Pulinckx gets all the necessary things into one single miniature: perfect building, splendid painting and an attractive subject. 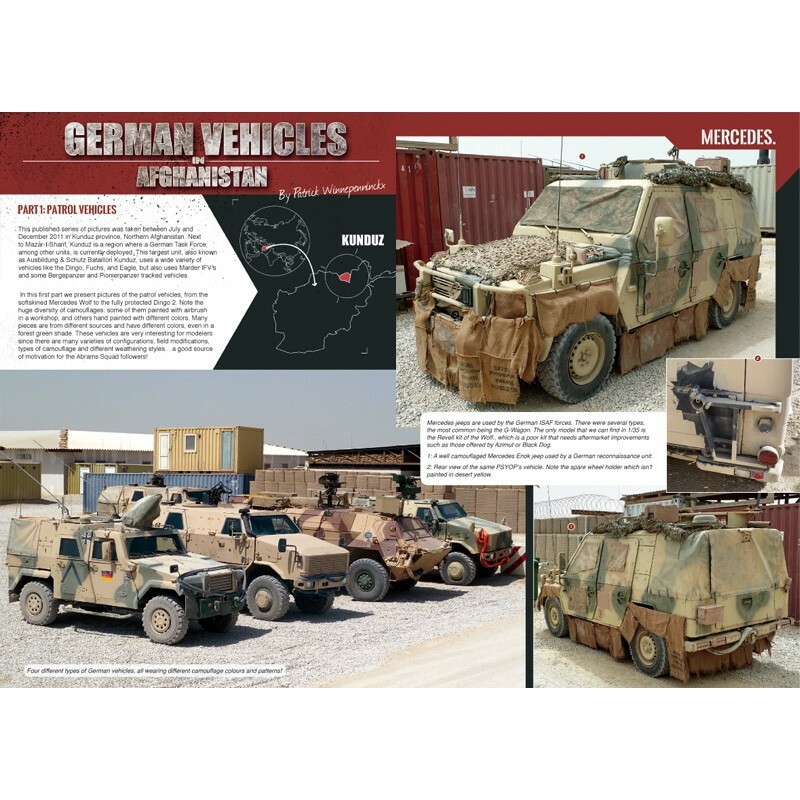 66 – GERMAN VEHICLE IN AFGANISTAN, PART 1: - Patrick Winnepenninckx displays part of his collection of photographs taken in Afghanistan in the year 2011. 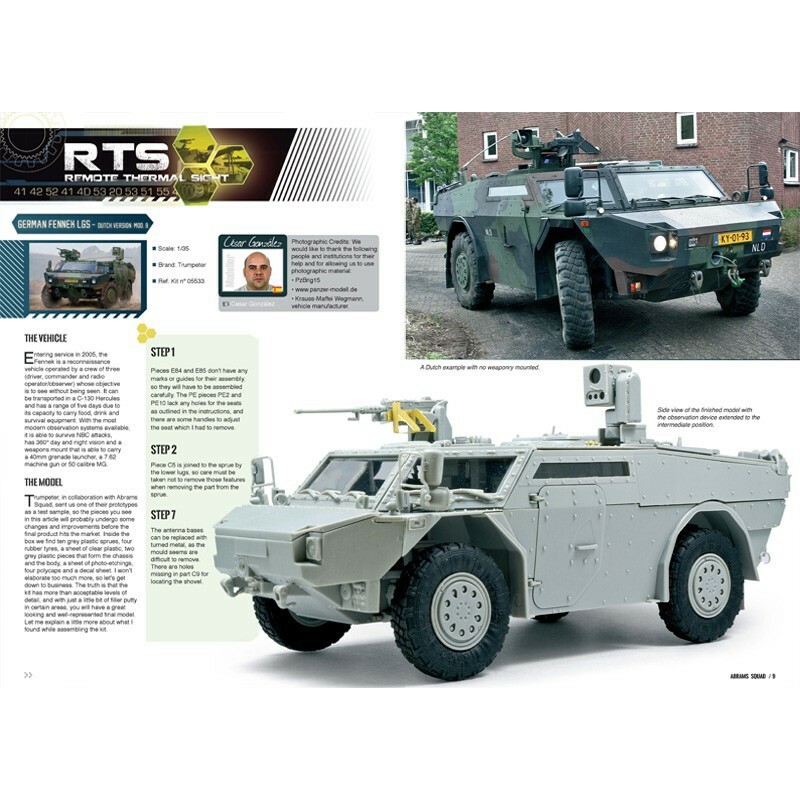 In this first part we show you the patrol vehicles of the Bundeswehr.